Adult Ballroom and Latin Classes- Try a Class for Yourself! Get out on the dance floor or get in shape and feel great - try a class today. Adult Fitness Classes in Pilates, Total Barre, and Zumba will be offered by semester and meets for 30 minutes per week, per class. *NEW* Adult Ballroom and Latin Dance will be offered by semester and meets for 45 minutes per week. 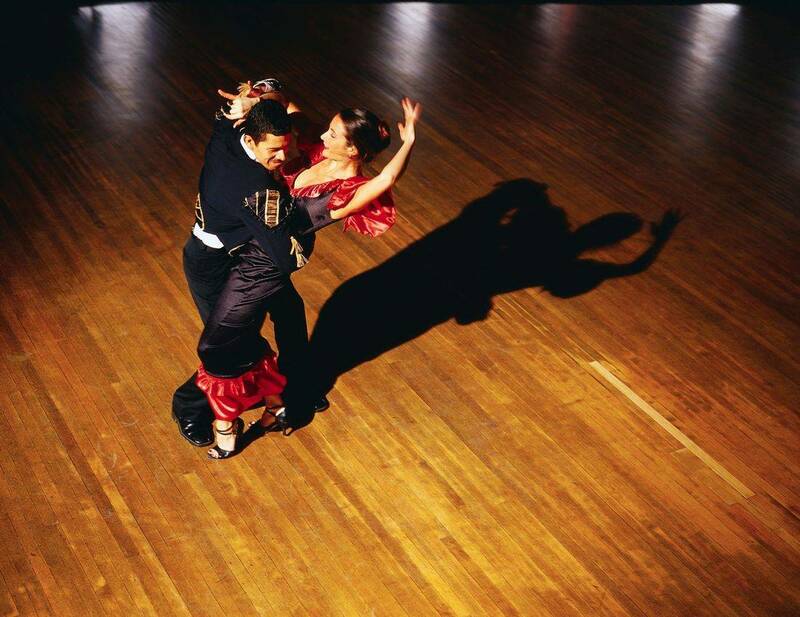 Classes will be offered in Ballroom Dance consisting of Waltz, Tango, and the Latin Dances of Swing and Rumba. No partner, no worries, we can partner you with someone for the class. Pilates is a low-impact class that targets your abs (“core”) while lengthening and working each individual muscle. Pilates is a fast way to reshape your body and get flexible. Wear comfortable clothes - no shoes are required. Classes will be offered in the latest movements of Ballroom Dance consisting of Waltz, Tango, and the Latin Dances of Swing and Rumba. No partner, no worries, we can partner you with someone for the class. Grooving to the beats of Hip-Hop, Salsa, and Merengue Music feels more like a dance party than a workout, which is exactly what makes Zumba so popular. This high-energy class is set to upbeat music and features choreographed dance numbers that you might see in a nightclub. You don’t need to be a great dancer to feel welcome in a Zumba class. With the tag line “Ditch the Workout, Join the Party,” the classes emphasize moving to the music and having a good time, no rhythm required. The Total Barre Workout emphasizes the correct biomechanics of movement combined with the power of music to increase strength, flexibility, stamina and dynamic stability. It is a program geared for everyone -no dance experience or tutus required. We hope to meet you at the Barre.